Welcome to JP Motor Trade Limited, Used Car Sales & finance specialist based in Bedfordshire. JP Motor Trade Ltd is open 6 days a week, 10 am to 6 pm weekdays, Sunday and out of hours viewing is available by appointment only. To find out how to find us, please click here. If you are looking for great savings on quality used cars in the Bedfordshire area , then you have reached the right place. JP Motor Trade Ltd are a specialist used car dealer based in Bedfordshire. We are proud to offer you a first class customer service and very competitive pricing, so please browse our stock list. At JP Motor Trade Ltd we stock a range of used cars to suit all budgets and lifestyles. If you are looking for a second hand car in Bedfordshire, then don’t delay, call us today to book a test drive. In order to offer cars to suit everyone we make sure that we update our stocklist regularly. It is therefore always worth giving us a call, even if you don’t see what you are looking for on our website. 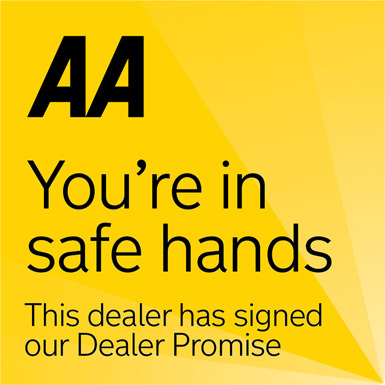 We realise that buying a car can be a daunting experience, but don’t worry,’BUY WITH CONFIDENCE’ we are proud to be a TRADING STANDARDS APPROVED DEALER. we are well established within the Bedfordshire area and come with a great reputation. Furthermore we offer excellent advice and experience on vehicles and vehicle maintenance. Our friendly staff will go the extra mile to guarantee that you receive the advice you need. This is the reason why many of our customers keep coming back to us. We try to be as accurate as possible with all vehicle details & specifications but from time to time errors occur. Please contact us prior to purchase to confirm the exact specification & details of all vehicles. At JP Motor Trade we don’t just sell cars, we do everything possible to get you driving your perfect car. We can arrange finance for those with GOOD & NOT SO GOOD CREDIT RATINGS even if you have CCJ’s, Defaults, Bankruptcy & benefits (subject to status). Please call us for full details 07903268435 or fill in an application form on this website. Why not come along to our dealership in Bedfordshire? We look forward to meeting you! Free 6 months warranty as standard on every car sold! (12-36 months also available). ‘BUY WITH CONFIDENCE’ we are proud to be a trading standards approved garage. We Can Arrange FINANCE for those with GOOD & NOT SO GOOD CREDIT RATINGS even if you have CCJ’s, Defaults, Bankruptcy & benefits (subject to status). All major debit & credit cards welcome. All cars can be Taxed online within 2 minutes. Please call 07903268435 for more info. Please call to check availability of cars before leaving. Need a car? Cant get credit? Out of hours appointments available. Please call to arrange.